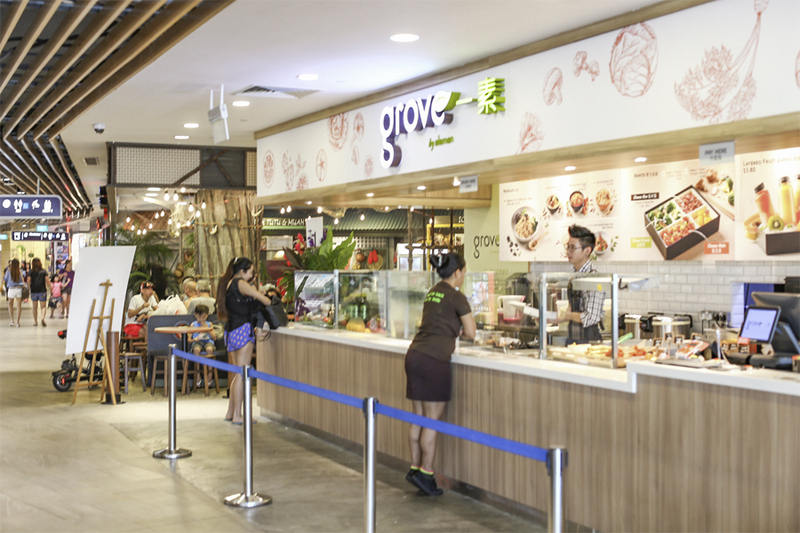 Vegetarian friends at Punggol can look out for the newly revamped Grove at Level 2 of Waterway Point. 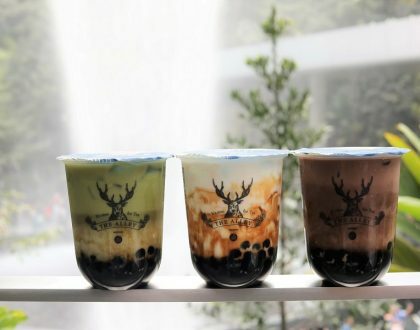 Just wondering if many knew of its existence, since it is located at one end of the mall – West Wing next to the Koufu foodcourt, Now you know. 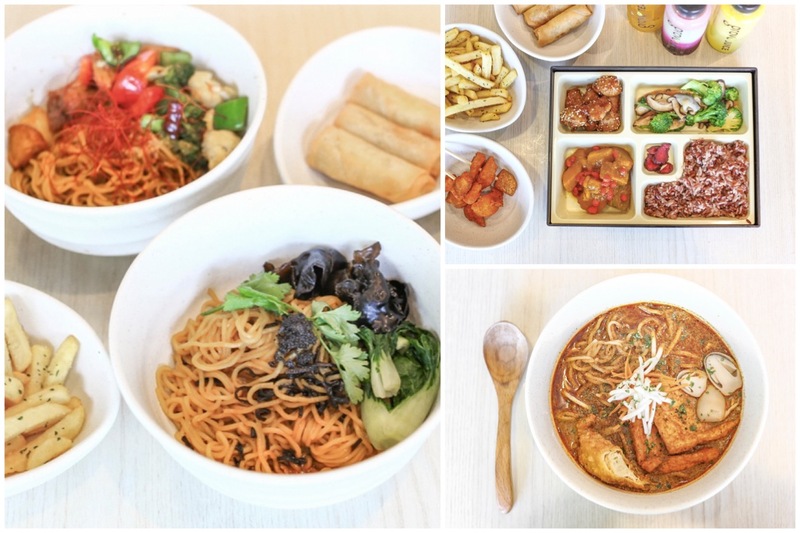 This meat-free casual dining concept is the brainchild of Elemen 元素 (located at both Millenia Walk and Thomson Plaza), a modern vegetarian restaurant focusing on Asian fusion cuisine. 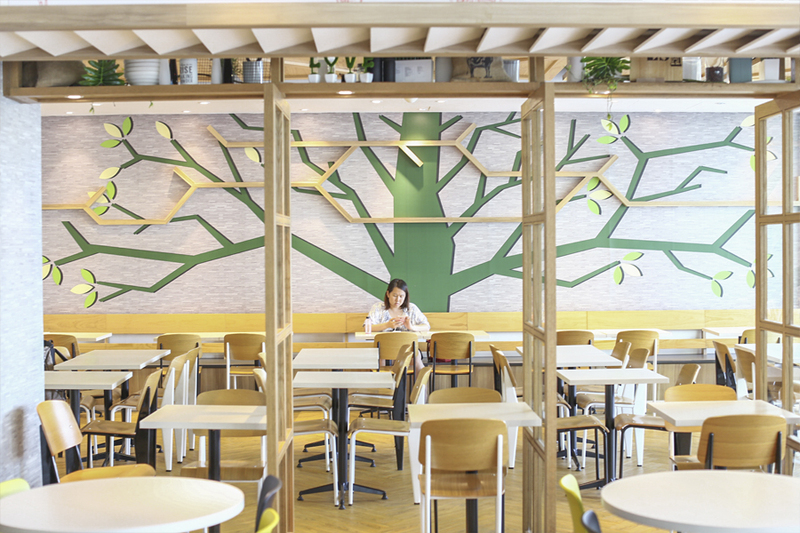 After a face-lift, the eatery looked more inviting with its light-coloured woody decor, with natural light shining in during daytime. If you sit on one end, you can also observe (from the inside) families with children having fun in the indoor playground, which can be a joy to watch. 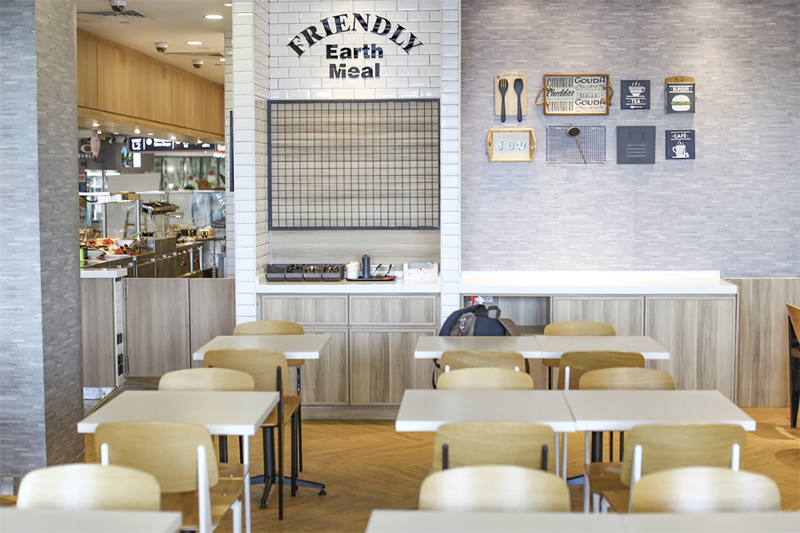 The quick service eatery continues to focus on creating quality meat-free food made from fresh and natural ingredients. 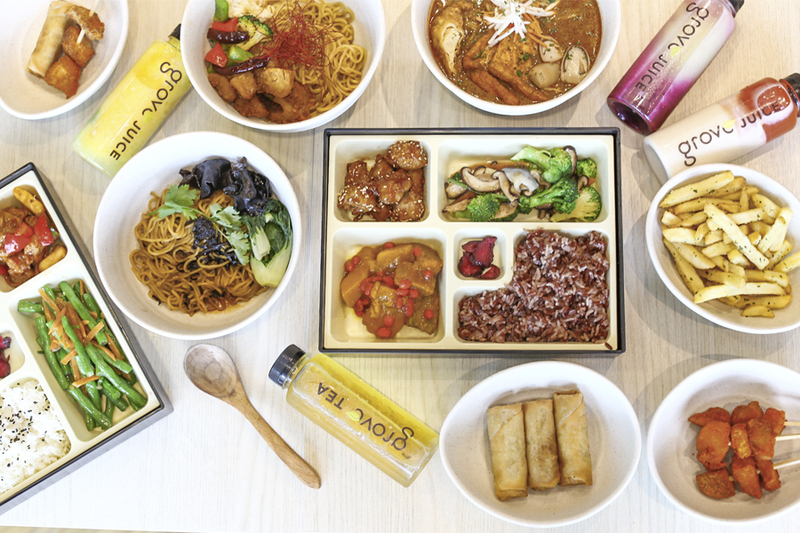 The menu can be said to be inspired by Asian and local dishes, offering bento rice sets, noodles (ramen), light snacks, bottled fruit juices and iced floral tea. 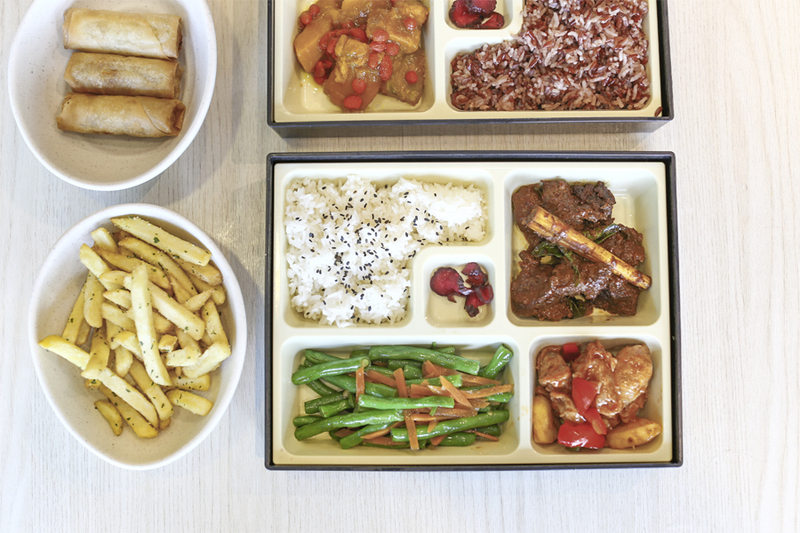 The fuss-free concept offers bento sets of 1 main with 2 greens ($7.80), or 2 mains with 1 green ($9.80), along with a selection of Japanese rice with sesame or brown rice. The dishes are rotational, and said to change on a daily basis because many of the diners are regulars. For the mains I had, I enjoyed the Honey Soy cubes cooked with monkey head mushrooms most, in which the crunchy pieces had an almost seafood-like bite coated with sticky sweet-savoury sauce. These monkey head mushrooms are often compared to crab legs, prized for its nutritious value and antioxidant properties. The Rendang Mushrooms is also a must-order for its springy, chewy bite that resembles meat in a way, which partly absorbed the thick and saucy gravy. Not too spicy as well. 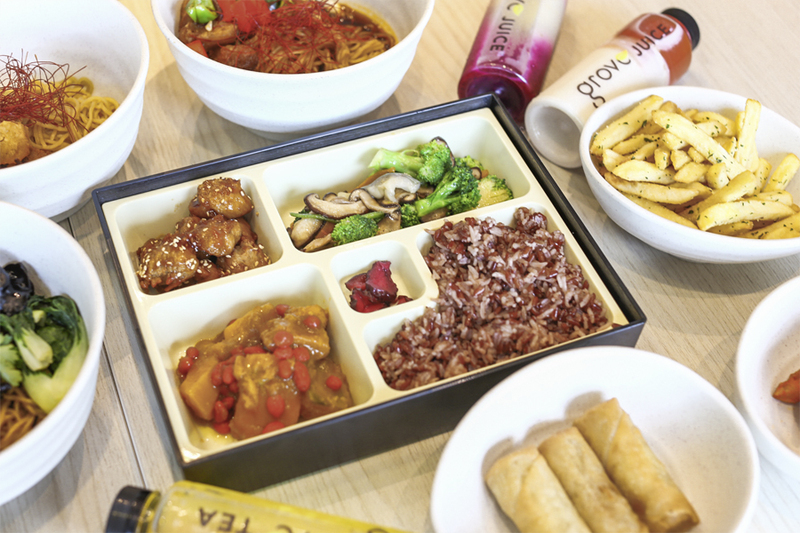 Other choices included Sweet & Sour ‘Meat’, Steamed Japanese Pumpkin with Goji Berries, and other assorted vegetable dishes. 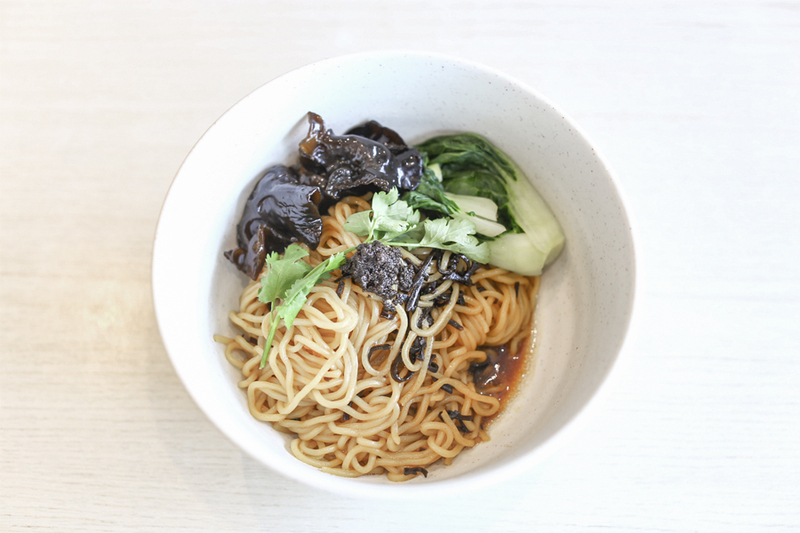 This is probably the most affordable Truffle Ramen you can get in Singapore right now, though the noodles uses should be considered closer to Chinese style of la mian. 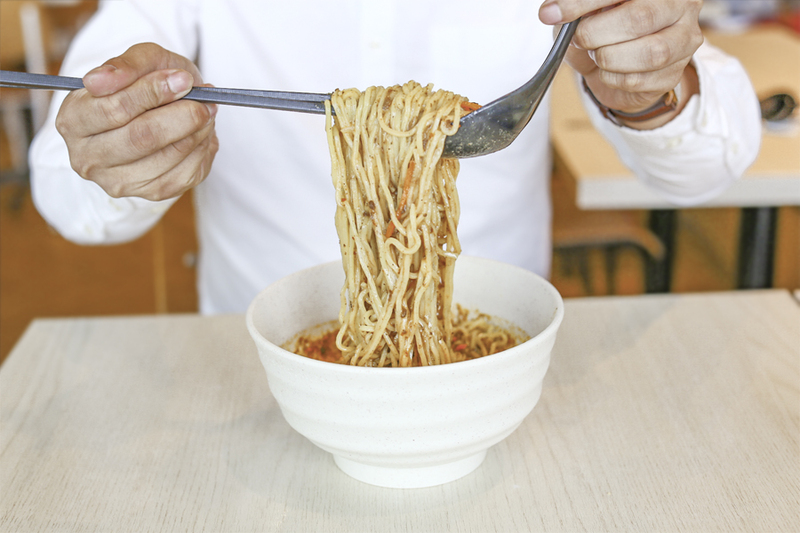 You get a whiff of the truffle oil as you scoop up the noodles. 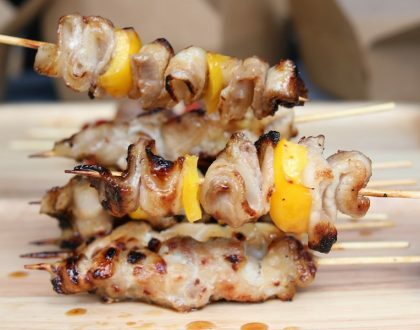 However (perhaps because I come from a meat-lover’s point of view), I wished there was something for me to bite into, like pieces of mushroom or an egg, rather than just the plainer-tasting wood-ear mushroom and vegetables. 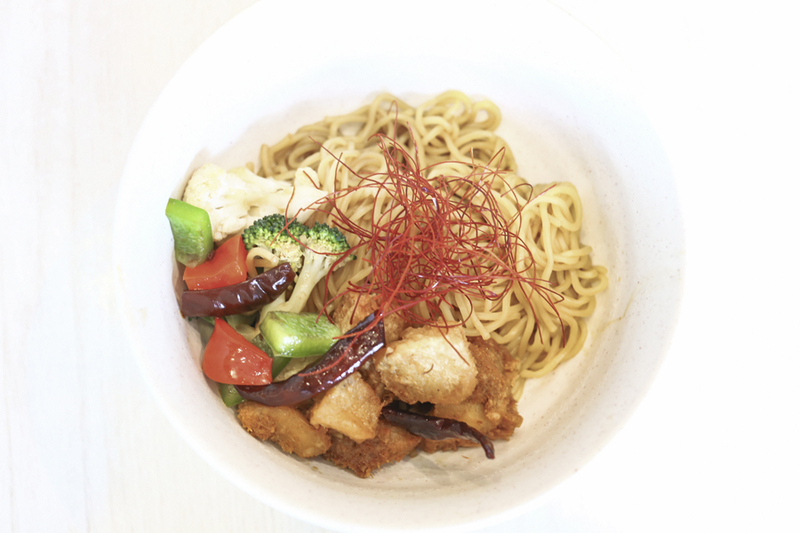 Chef explained that diners liked the simplicity of this dish as they can appreciate just the noodles coated with the sauce. I can also understand where he is coming from. 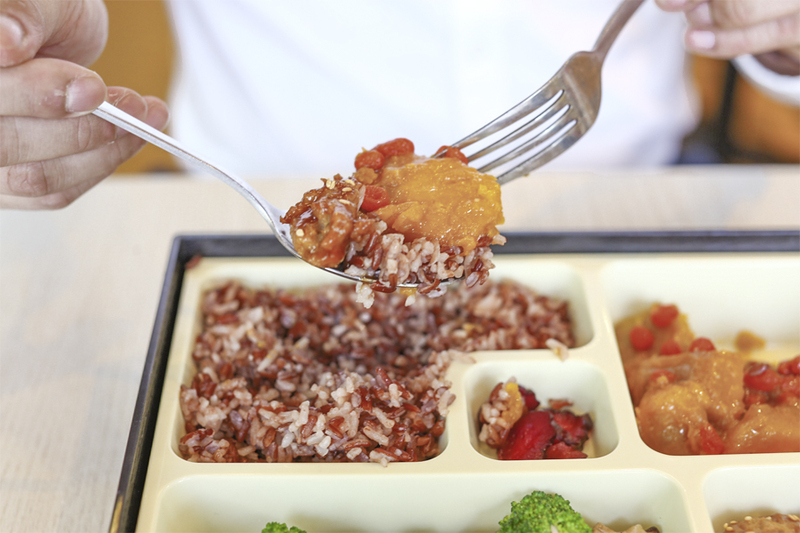 The Kung Pao ‘Chicken’ in this case would be deep-fried battered monkey head mushrooms. I generally liked the firm bite of the pieces. The noodles were tossed in a sweetish Kung Pao sauce, which was low on the fiery level contrary to the name, so no worry if you cannot take spicy food. This was my favourite noodle dish of those I tried. The reasonably spicy gravy cooked with coconut milk, hot and fragrant was slurp worthy. Added with tofu puffs, vegetarian fishcakes and straw mushrooms, this was high on the satisfaction level. 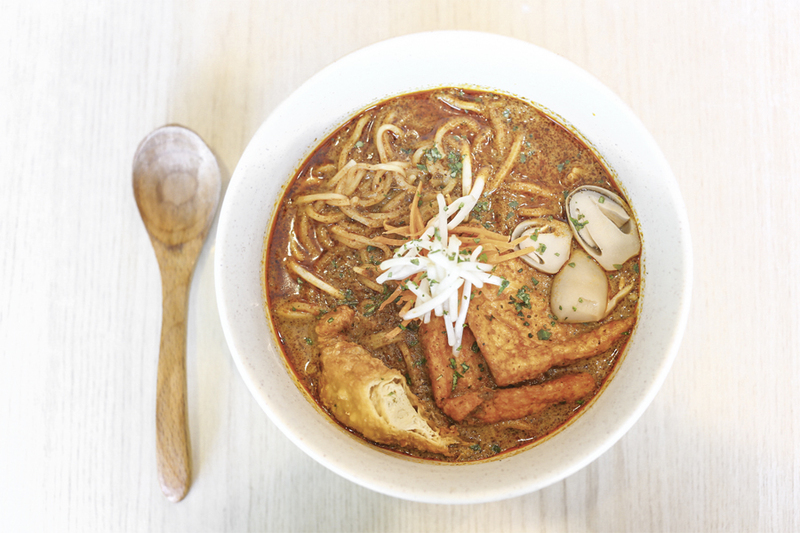 Other noodle dishes you can look forward to are the Tomato Soup Spinach Noodles ($7.80) and Herbal Soup Ramen ($7.80). 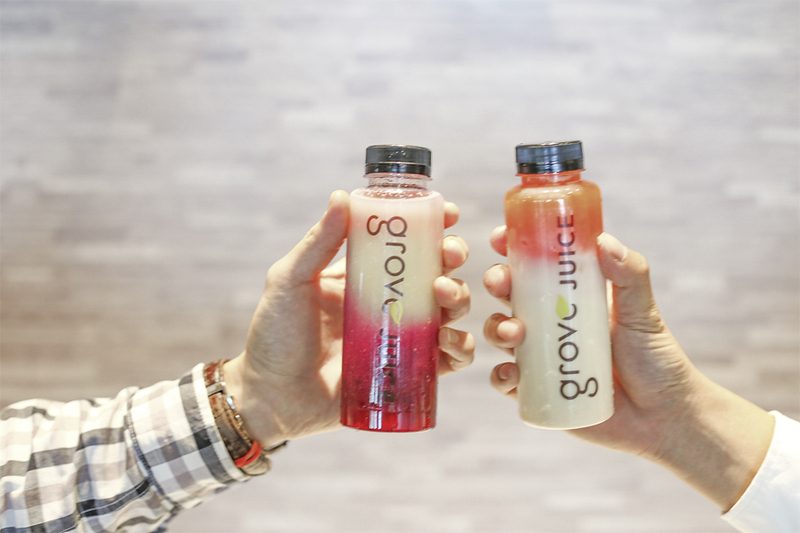 Newly introduced are the photogenic bottled Layered Fruit Juices, in popular combinations of Carrote & Apple, Dragonfruit & Guava, Orange & Kiwi, and Papaya with Milk. 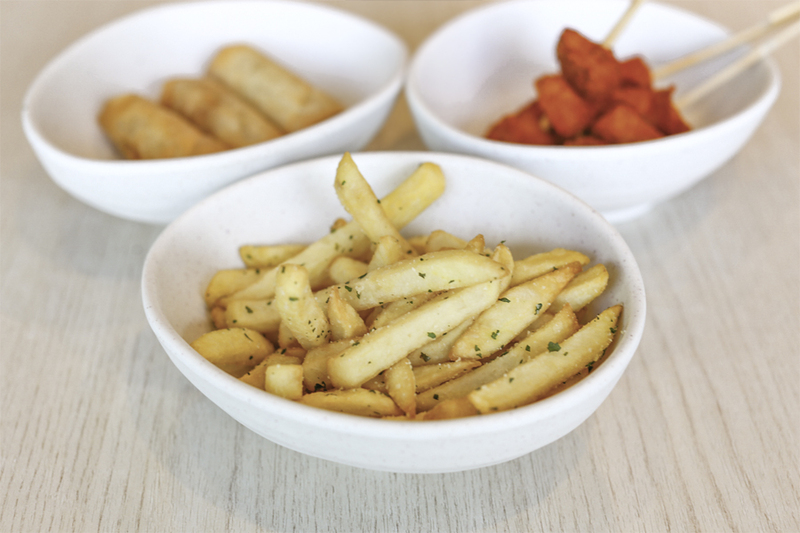 Conveniently packaged and good for takeaways. 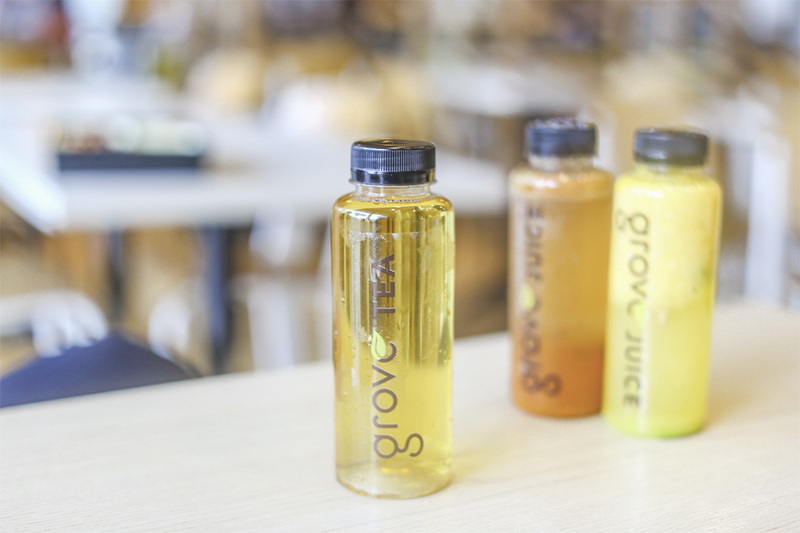 If you would like something refreshingly cool, Iced Floral Tea are available in Lavender Green, Apple Red, Passionfruit Chamomile, and Peach Red Tea. 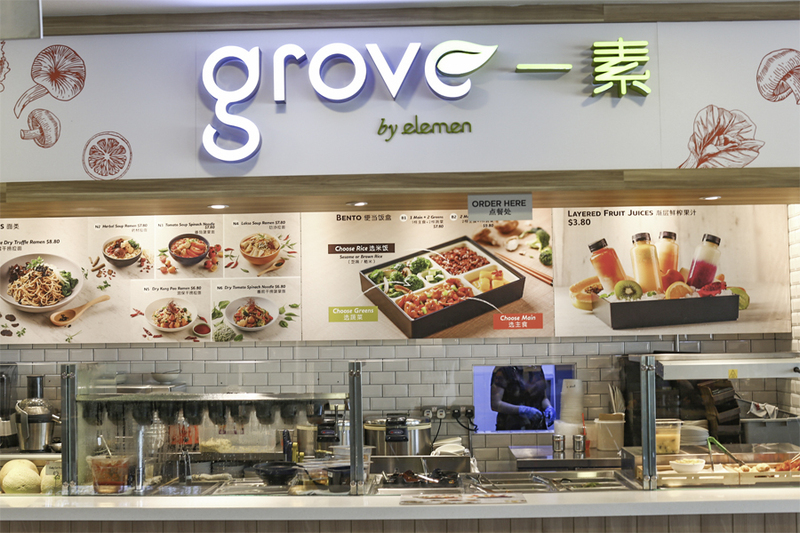 Grove also serves up sides such as French Fries, Truffle Fries, Spring Rolls and Karaage. 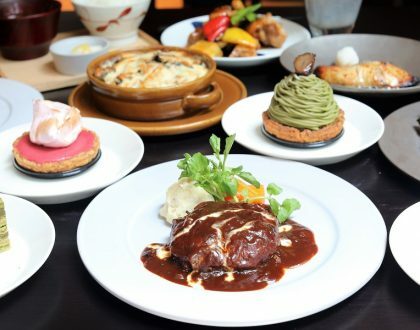 Even if you are a meat-eater, you can probably find something here to suit your tastebuds. 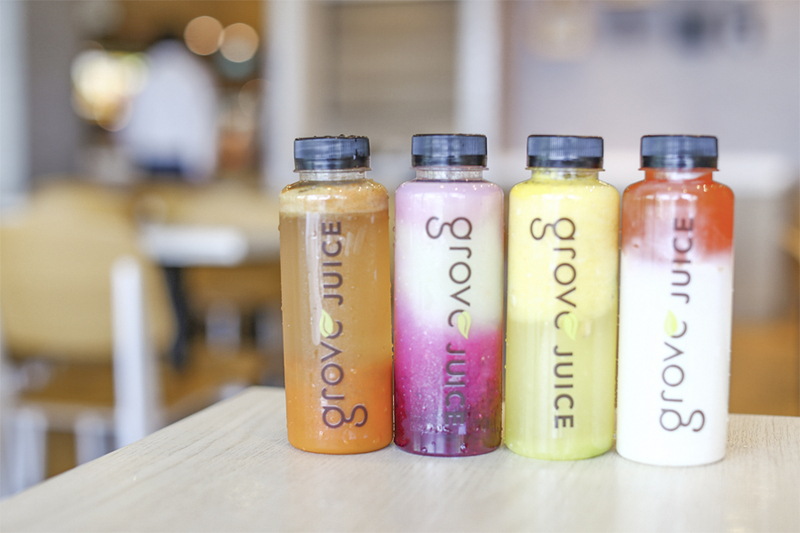 * This entry is brought to you in partnership with Grove. The space of this restaurant seem make me feel free and cool. 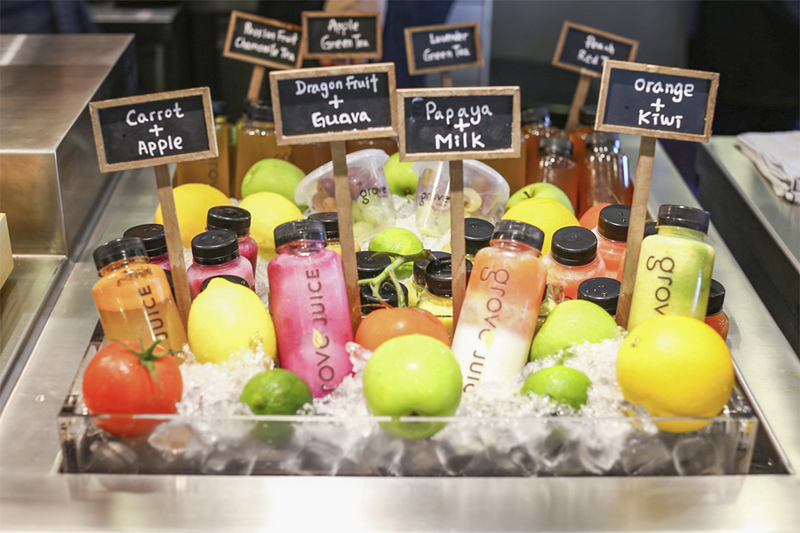 I like the way they show food and love juice bottles (colourful and fresh). Your informations about food, price and picture are really helpful to me. Thank you so much!